This is a stylish ladies 4.3 oz., 50/25/25 polyester/combed ringspun cotton/rayon vintage black dolman tee. Dolman tees have wide, flowy sleeves. 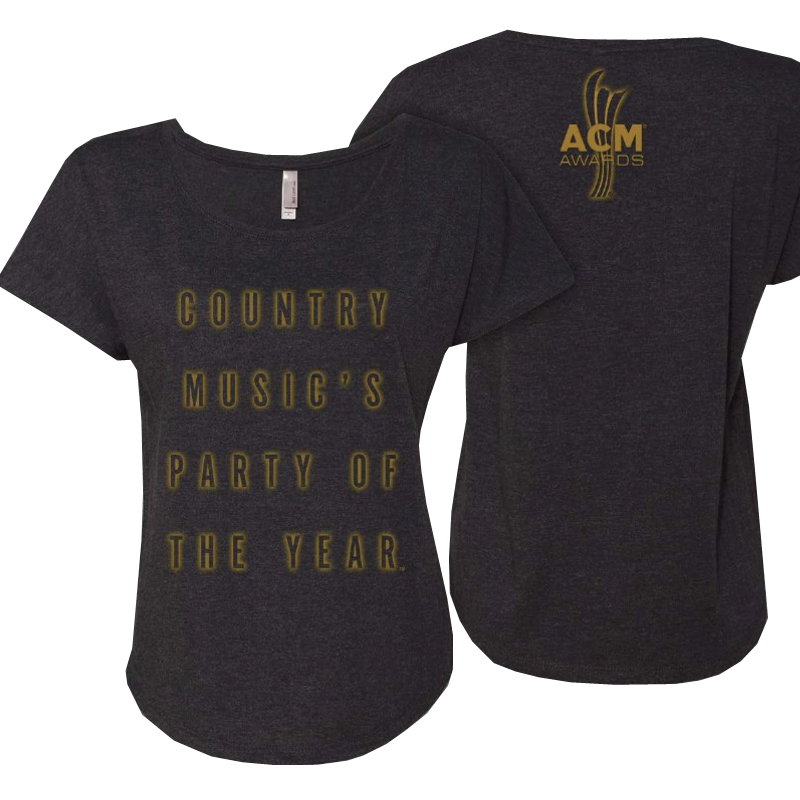 Country Music's Party of the Year in yellow neon font on the front and ACM logo on the back.